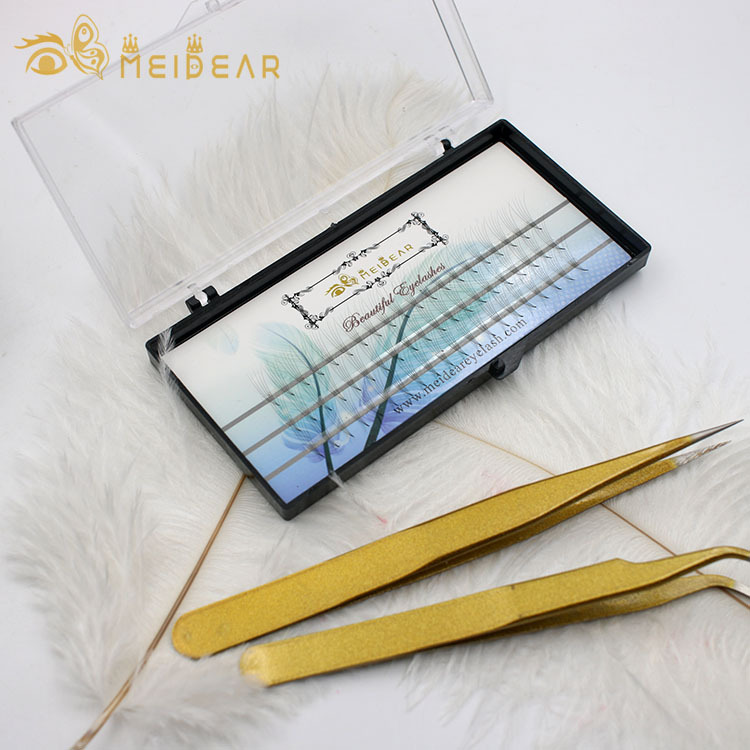 Manufacturer supply handmade prefan volume lash extension with wholesale price thickness 0.05 0.07 0.10mm.Russian lash extension is a new advanced technique that adhering the fans lashes of on each individual lash. The result is everyone will have voluminous and natural looking. 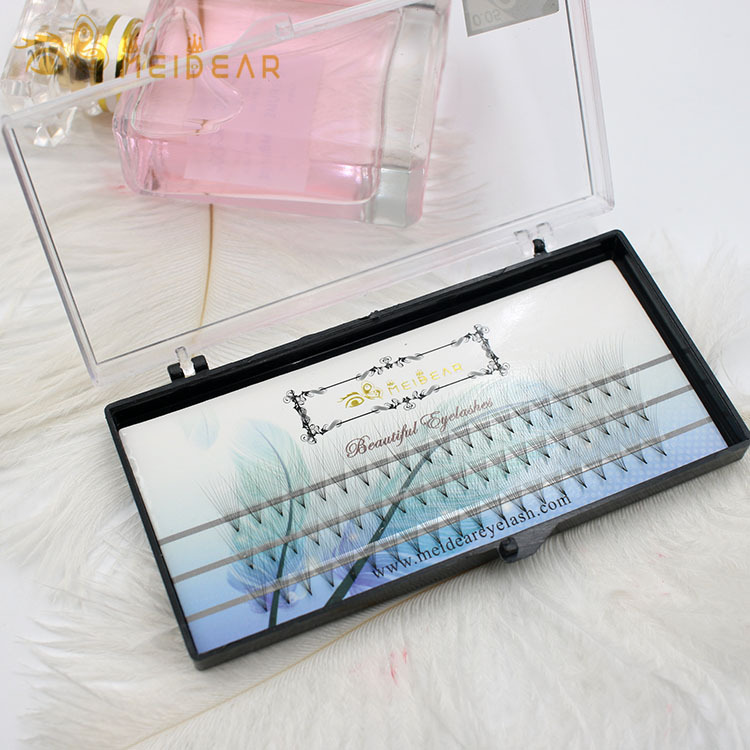 Mixed fans can be applied on each eyelash for a very glamorous result.The prefan volume lashes can last 3-5 weeks depend on the individual life cycle of our eyelashes. Russian Volume lash extensions are feather light and safely applied to each of our natural eyelashes. It can create a more pronounced looking.The effect is more greater than classic lash extensions.Prefan lashes are light weight they case less stress on our natural lashes. 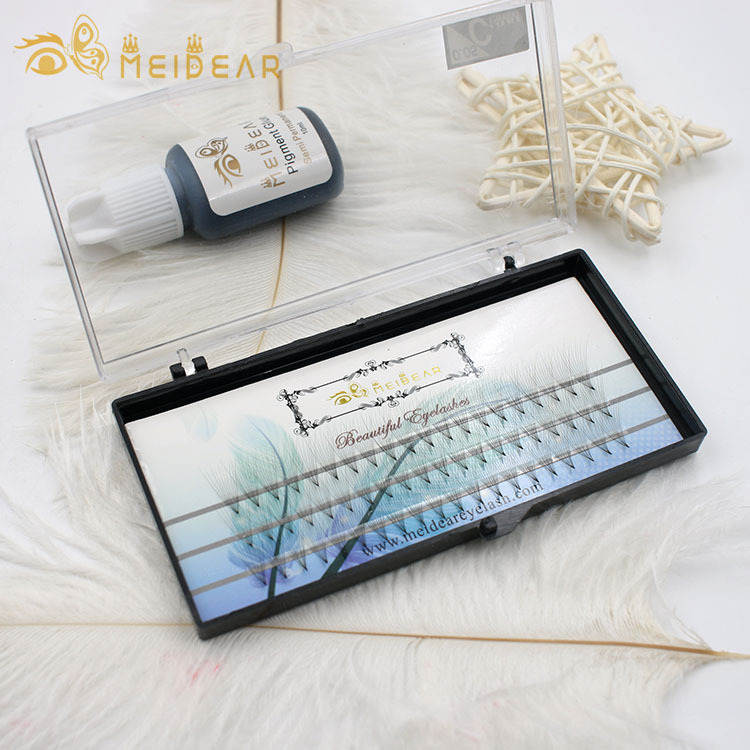 Handmade Prefan volume lashes is a great solution for people who have thin,fine and sparse eyelashes as well as for those who want to have dramatic look. 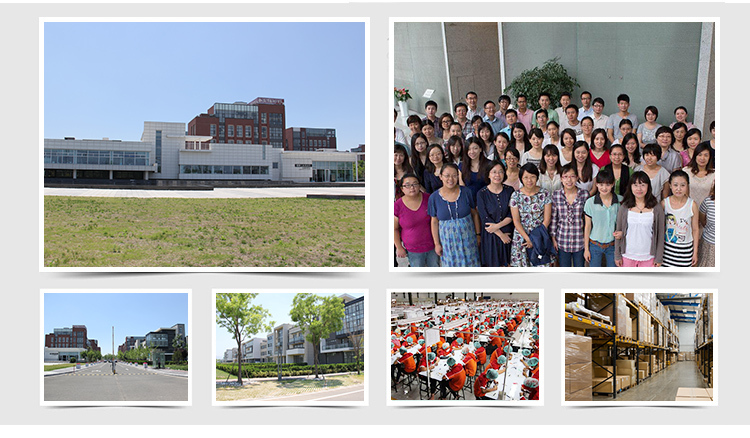 Meidear eyelash company supply many kinds of prefan eyelashes,C and D curl, thickness 0.05mm, 0.07mm and 0.10mm. With many years of experience working in the field, we have a very big ans stable base of regular customers. Providing the the best quality eyelash extension service. Let all our customers have a very glamorous look. Prefan Russian volume lashes is the latest technique in the market.The prefan lashes are more believable and safer for the natural eyelashes. And they are very lightweight when placed on the natural. Soft and fluffy.